Gnostic wisdom affirms the existence of a second human race, developed like the first race within the upper dimensions of nature and named Hyperboreans – as that was the location were it first seated, in the northern hemisphere of the planet, in the septentrion, forming a horseshoe around the North Pole. 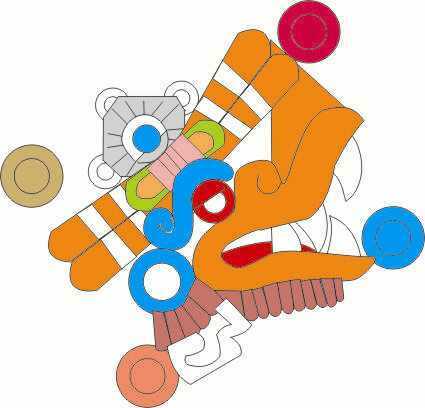 It is affirmed this race was destroyed by hurricanes, being the hurricane – in Mayan and Nahuatl – a symbol of the divine breath of spirit. “Thus the Lord God formed men from the dust of the Earth, and breathed upon his nostrils the breath of life, and the man became a living soul”. With this we state the second race did not degenerate, they incarnated the Spirit. The old traditions of Anahuac affirm the gods transformed the peoples to apes (meaning “intelligence”), for them to climb trees with ease – that is, to develop the fruit of the Tree of Life, the virtues of the soul.